The District employs over 500 individuals on a full-time basis to complete its mission as a PreK-12 grade school system. 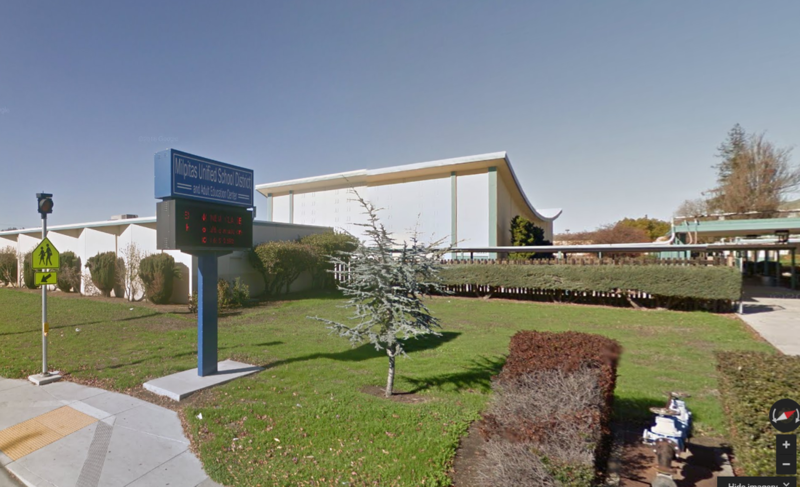 The school district was originally Milpitas Elementary S.D. when it was started as a separate district in the 1950s. Formerly, James Lick High School in Alum Rock was the closest high school to Milpitas. Samuel Ayer High School (now the Milpitas Sports Center, Teen Center, Calaveras Hills HS., and Adult Education Center) on Calaveras Road was built as the only high school located in the city. In the late 1960s MUSD was formed and included Ayer High which had previously been part of East Side Union High School District. In the 1970s, Milpitas High School was built on Escuela Parkway and, due to declining enrollment, Samuel Ayer High School closed. Currently Milpitas High is one of the biggest high schools in the county, with approximately 3000 students. The continuation school, Calaveras Hills High School (CHHS) is one of the best schools for "at risk" students in the state. CHHS was designated a California Model Continuation High School.